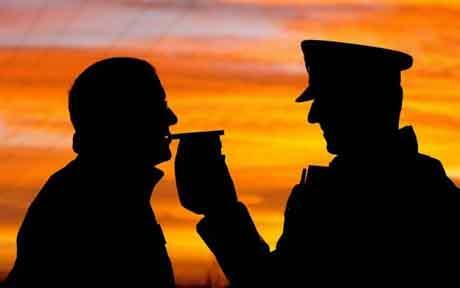 How Do You Avoid A Drink Driving Ban? Getting stopped by the police while you still have alcohol in your system is a serious matter and can cause offenders all kinds of professional and personal strife. But despite what you might have heard, a drink driving conviction does not automatically bring about a driving ban: by taking the right steps, and by taking heed of the right professional guidance, you can entirely avoid a drink driving ban. In fact, at the top end of success rates, you will find lawyers who successfully defend their clients from bans in as many as 95% of their cases. In England, Wales and Northern Ireland, there is a limit of 35 micrograms of alcohol per 100 micrograms of breath, and 80 micrograms per 100 micrograms of blood. In Scotland, the limits are stricter: 22 micrograms per 100 micrograms of breath, and 50 micrograms per 100 micrograms blood. If you are convicted of being above those legal limits while in charge of a vehicle, of attempting to drive, or of driving, you could receive up to 11 penalty points, an unlimited fine, a six-month prison term, and a disqualification from driving. These are heavy penalties that could lose you a job, a house, a marriage. So seeking specialised advice is essential. Lawyers experienced in defending drink driving charges will have a complete understanding of the legal conditions that must be met for any of these penalties to be incurred. They will be aware of to what extent discretion may be exercised on the part of the presiding judge, and may be able to argue a case of “exceptional hardship”, in which it is demonstrated that a disqualification or other punishment would bring about consequences for the offender that are excessively damaging. Alternatively, drink driving bans can be avoided by showing that the circumstances of the offense were extraordinary, such as there having been an emergency or that your drink was spiked. Whatever the approach for the defense, it is crucial that you turn to a solicitor who can guide you through the decision-making process from start to finish, accurately compile the relevant evidence, and argue your case in court, basing your defence on precedent and experience. A drink driving charge and/or conviction is a very challenging experience to say the least, but drink driving bans are not a forgone conclusion, and the correct legal support will often play a crucial role in saving you from a heavy penalty.